Doors open at 11:00 am for Sunny 106.5's Brunch 'N' Brushes where you can enjoy delicious food from Rachel's Kitchen and one free Mimosa. Joanna from Sunny's Marco in the Morning show will be painting with us too! Make a $10 donation to Grant a Gift Autism Foundation and receive a $10 Pinot's Palette Gift Card in the month of April! Party it up and get Ele-FUN-ky! This kaleidoscope of colors is easily customized and in black-light or regular light is sure to be a great painting for your home. Whether you are a fan of chemistry, potions, or owls, there is no denying love for this charming cauldron chemist! Paint It Forward with the Vegas Golden Knights Foundation! The VGK Foundation will receive $10.00 from every reservation for this class to support Las Vegas charities that make a difference every day in our community. 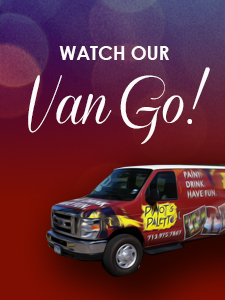 Reminder: Discounts and complementary credits are not applicable to Painting It Forward events. This super cut fox can be customized to match your decor! A shimmering palette makes this elegant centerpiece a wonderful fit in any decor. Sit back and relax as you enjoy a sunset over a lush mountain forest. 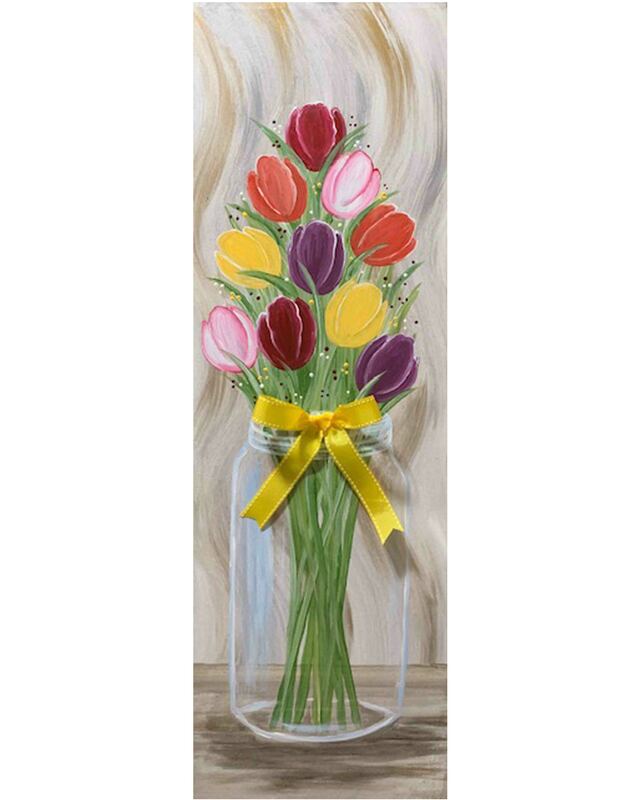 A mason jar full of beautiful and colorful tulips will brighten your day. The 3-D bow is the final touch to add glamour. Customize the flower and bow color to make it your own. 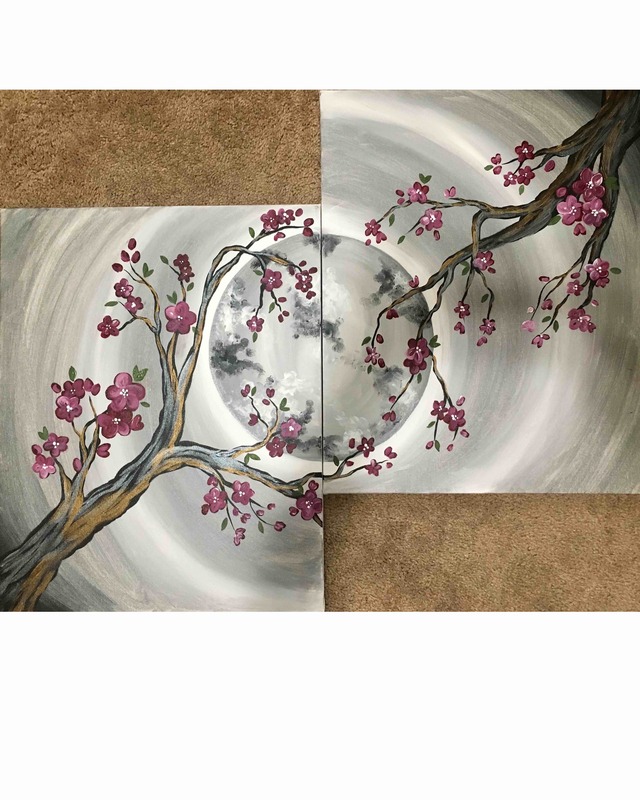 Paint this beautiful 10" x 30" canvas creation which we will embellish with ribbon! Waterfall in browns & oranges.